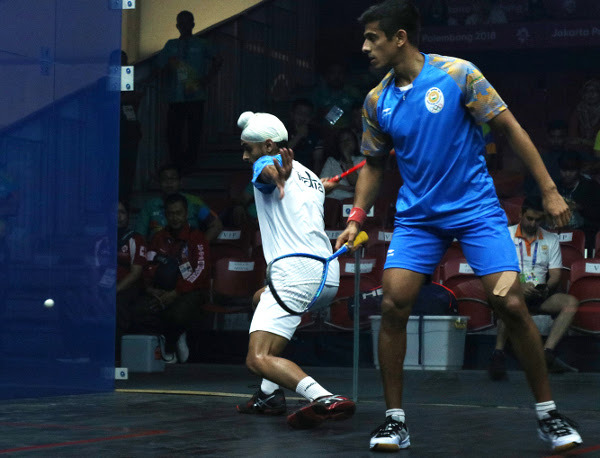 Against expectations, Malaysia are in line for a triple squash medal haul in the Asian Games in Indonesia after Nafiizwan Adnan and Sivasangari Subramaniam, both 5/8 seeds, pulled off major upsets in today’s quarter-finals at the Gelora Bung Karno Sports Complex in Jakarta to secure places in the semi-finals for the first time in their careers. 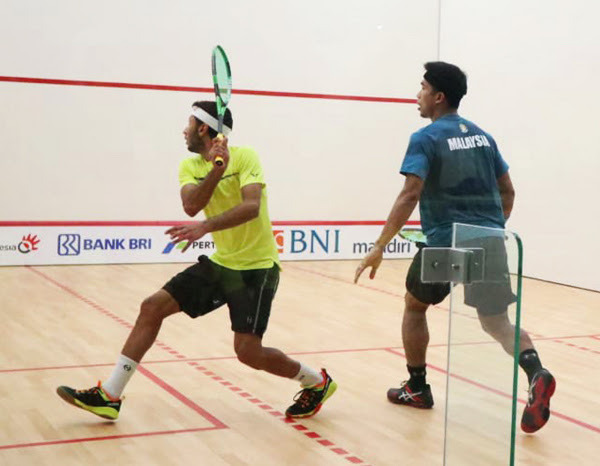 “I still can’t believe that I’ve managed to produce a win over Annie,” said the jubilant Subramaniam (pictured above, left, in quarter-final action). “She’s the second seed in the tournament and ranked as high as number 11 in the world. 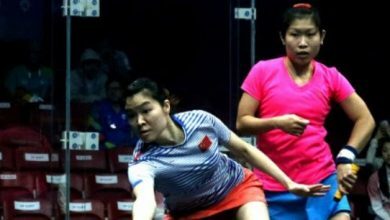 “It was really a tough fight but it’s worth it because at least there will be a medal for Malaysia,” said the 32-year-old world No.40 (pictured above, right). 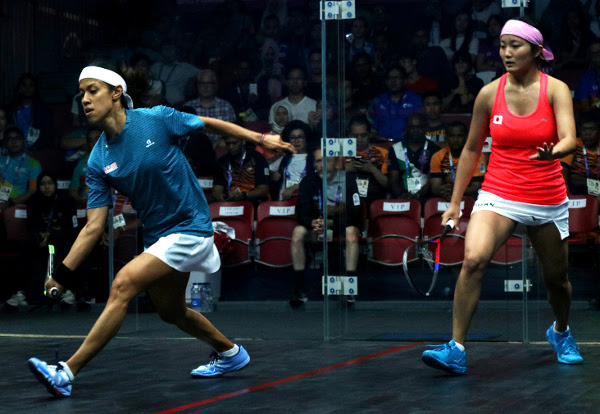 Nicol David kept alive her hopes of a record fifth gold medal when she despatched one of the women’s game’s rising stars Satomi Watanabe, of Japan, 11-6, 11-4, 11-3. 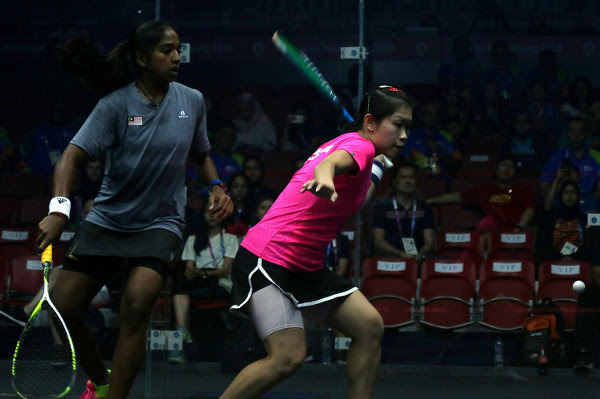 “It’s great to be in the semi-finals and I’m very happy with the way I played,” said Nicol (pictured above, left), who now faces Indian rival Dipika Pallikal Karthik for a place in her sixth successive final. Top men’s seed Saurav Ghosal, bidding to become the first Indian gold medallist in the event, had a tough quarter-final battle on his hands against fellow countryman Harinder Pal Sandhu. 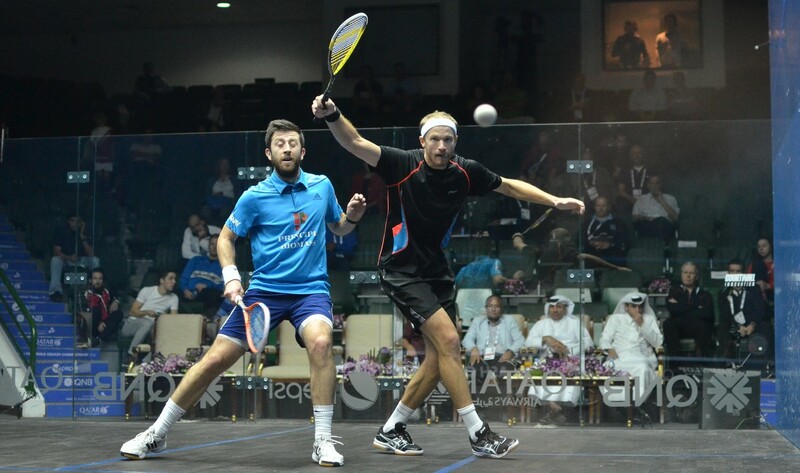 After dropping the opening game, the favourite regained control of the match to prevail 9-11, 11-7, 11-7, 11-7 after 70 minutes. The world No.12 from Kolkata (pictured above, right) now takes on Hong Kong’s Leo Au in a bid to reach the final for the second time in a row.